Israeli Defense Minister Avigdor Liberman took part Tuesday in a ceremony at Ben-Gurion Airport in honor of 20 wounded IDF veterans who are on their first trip after their release from the army. 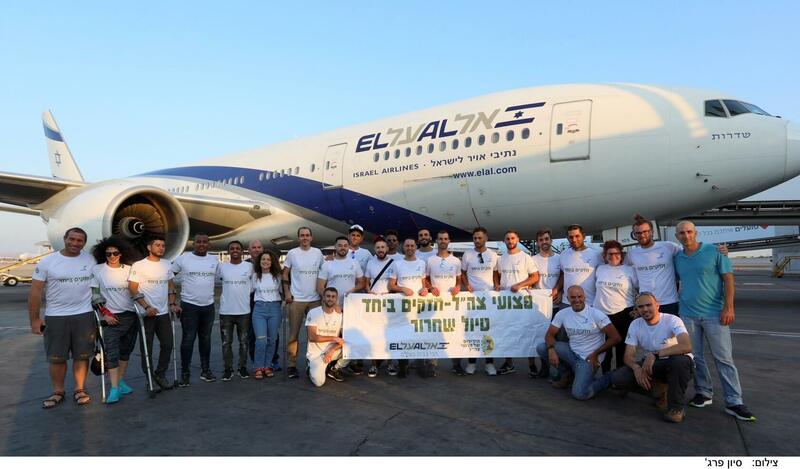 « After the Army Trip » is a rehabilitation project initiated by the Friends of the Zahal Disabled Veterans Organization in Israel, together with El Al, for the fourth consecutive year. This year’s 20-member delegation will climb to the Machu Picchu peak to 4,400 meters and walk about 35 kilometers on foot. The delegation includes wounded IDF veterans from the Second Lebanon War, Operation Protective Edge and the latest wave of terror. The group will be accompanied by a medical team and a psychologist.